As you might know, my husband is a dentist. So oral health awareness and prevention is a big thing in my family. I have to admit, growing up it sometimes wasn’t that important because my family had eleven kids and it was pretty hard to make sure that everyone was brushing and flossing twice a day. But my mom was very religious about taking us to the dentist every six months. And the best part of the dentist was that we got gum (sugar free) afterwards! Gum was forbidden in my house except for on dentist days. Anyway now that I’m married to a dentist, we make sure to brush our kids teeth every day and of course I do as well. My husband’s favorite brand of toothpaste is Colgate Total. He thinks it’s the best and I even asked him if he officially recommends it and he says yes. It reduces 90% more plaque than standard toothpaste. 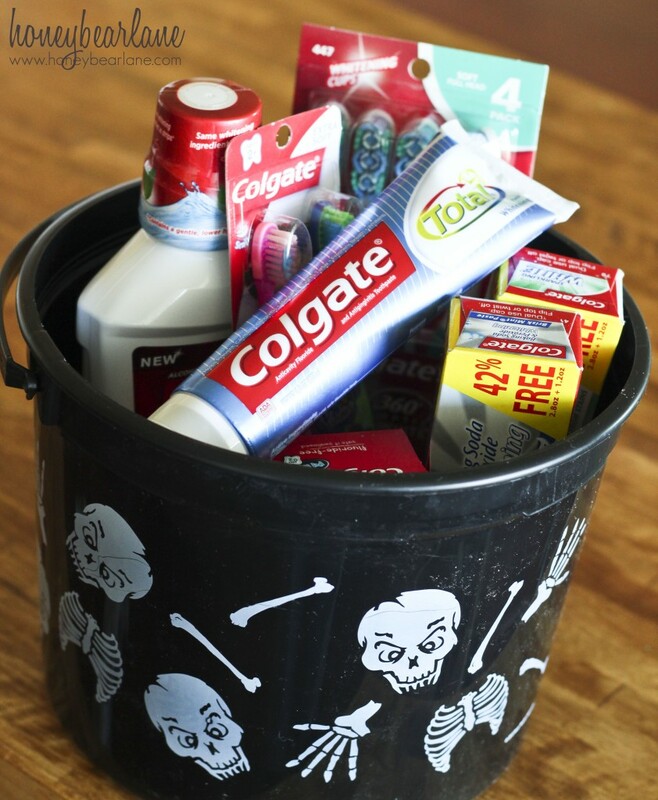 I had the opportunity to assemble an Oral Health Care Basket for someone I care about. I decided to make one for my brother’s kids and my parents who do a lot of the child-raising now that their mommy died. I went to Walmart Neighborhood Market and shopped around in the oral care section which is huge, by the way. 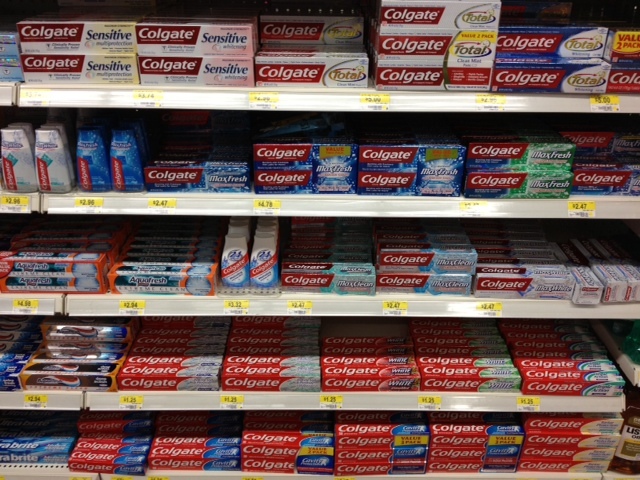 I mean check out this selection of Colgate toothpastes alone. 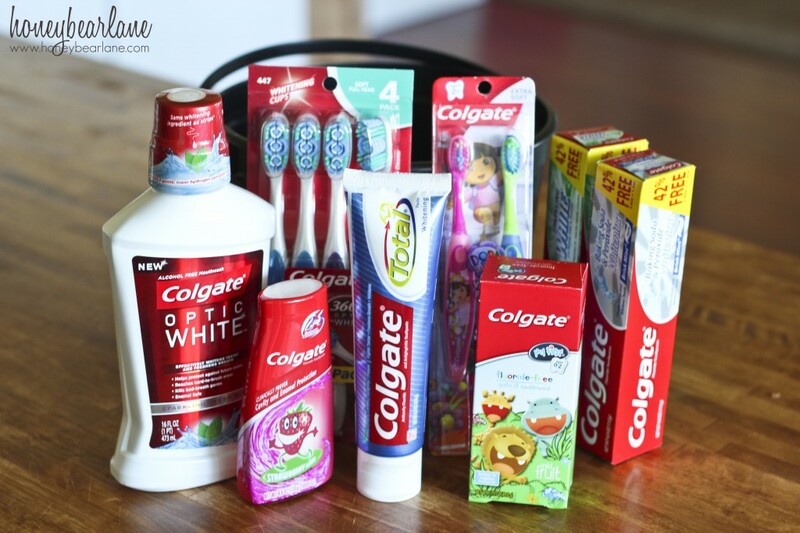 I decided to buy all Colgate products for my basket and I ended up getting Colgate toothpastes (including Colgate Total), toothbrushes for adults and children, child and baby toothpastes, mouthwash, and floss. 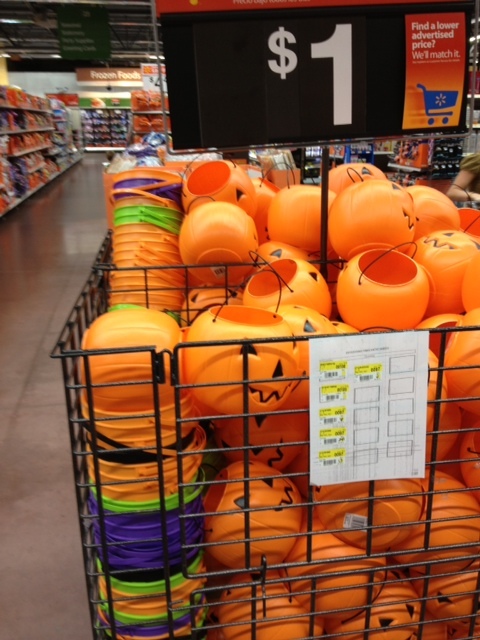 I put them all in a neat little halloween bucket I found right next to the aisle for only $1. Lukey helped me pick out the stuff for the kids. 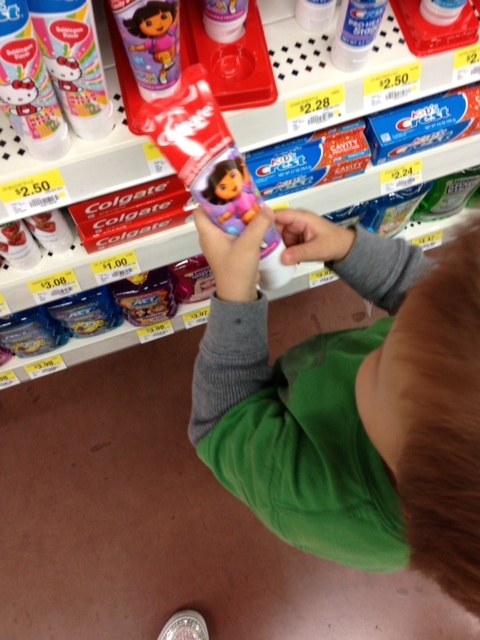 We got some great kid toothpastes and toothbrushes and even some fluoride-free toothpaste for Baby F.
Don’t you know Dora helps prevent gum disease? Visit my Google+ Album to see more pictures of this shop. I hope this kit helps them to remember to take good care of their mouths. Oral Health is seriously so important and I bet a lot of you didn’t know that not taking care of your teeth can lead to infection-causing death. That is in rare cases, of course, but infections in your mouth (absess) have bacteria that can go into your brain and kill you. So please take it seriously, especially if you or your child is in pain. I know that it can be expensive to go to the dentist and if you really think you can’t afford it, you CAN afford to brush your teeth twice a day and floss daily as well. 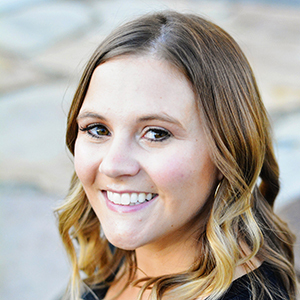 Taking those preventative measures can help a lot and prevent the things that cost a lot more–like fillings and extractions and more. And believe me, I just got 6 fillings (done by my handsome husband) done at once and it was not fun. But I’d rather do that than have gingivitis or other gum disease. Please visit Colgate’s Website, Facebook, and Twitter for more information! Or visit this site for information on diabetes, gingivitis, and gum disease. What a great gift for your brother and his kids! Wow! I am impressed at hearing you grew up in a family of eleven kids! There are ten kids in my family! What a great idea and so fun for the kids! I love this! Also it was so fun to see you and talk to you for a while at the connective circle last week. You are just too cute. Oh and I saw the puffy quilt you made for LMM on her blog oh my heavens it is BEAUTIFUL. You are just so talented my friend. Yay Whitney! So fun to see you again too! Always great to talk to you. Thanks for visiting the blog!